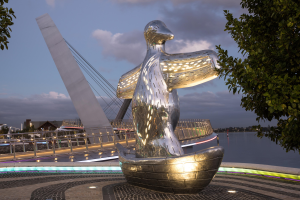 First Contact is a stunning five metre tall, cast aluminium artwork by renowned indigenous artist, Laurel Nannup. 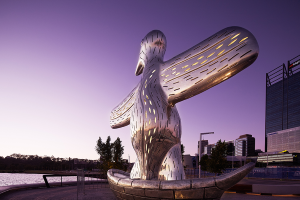 Located at the William Street Landing, the work depicts the arrival of European settlers to Perth. 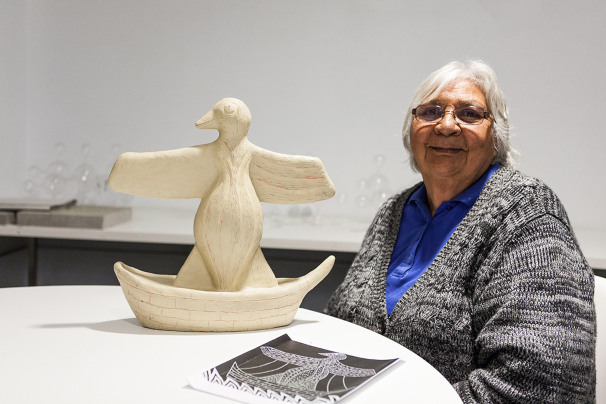 As the European boats arrived, the local Noongar people believed that these ships, were their past ancestors returning from the sea. 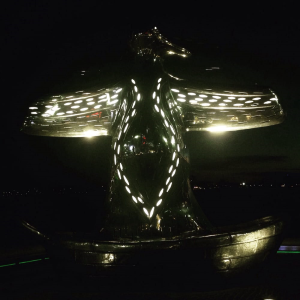 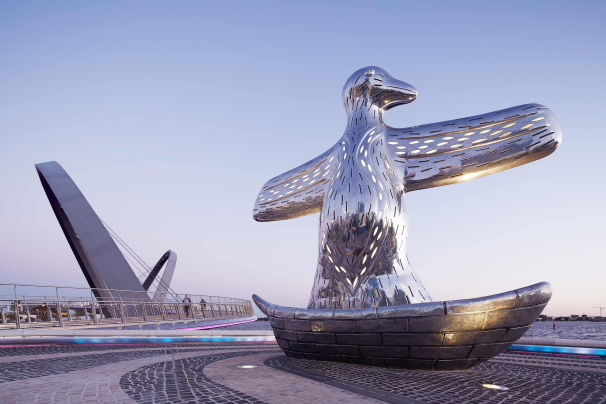 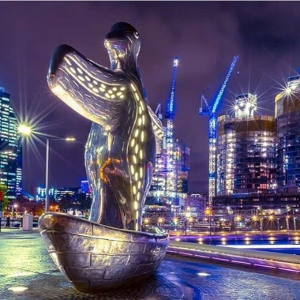 At night the sculpture illuminates creating a majestic viewing point on the Swan River.